Kingfisher Korfball Club (Maidstone, Kent) have appointed Johan Oosterling as their new Head Coach for the 2017/18 season. 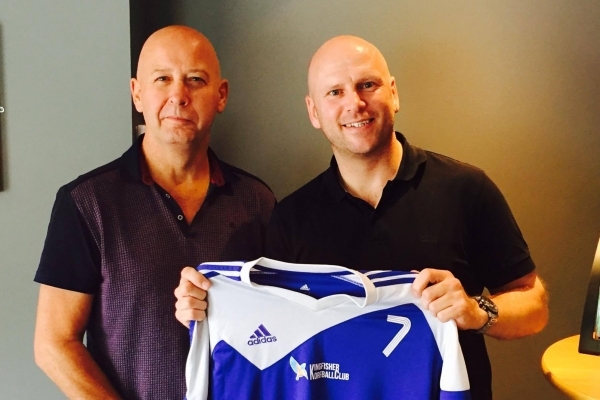 Speaking about the appointment Richard Locke from Kingfisher said: “The club are extremely excited to appoint Johan Oosterling as the new Head Coach. “To appoint someone of the calibre of Johan is a massive coup for the club. “He brings with him a wealth of experience and expertise which will benefit the entire club. Johan Oosterling, 38, amongst numerous other championships titles has won two England Korfball Premier League titles as a player with Trojans Korfball Club and two further titles as 1st Team Technical Coach, most recently at the LFF Grand Finals at the K2 Crawley. In January-2017 Oosterling was part of the Trojans coaching team which guided Trojans to their second IKF Europa Cup bronze medal. Oosterling said “It is a great honour to be appointed as the Head Coach of Kingfisher, a club that had been consistently in or competing for the playoffs the last couple of years.